The flooding in Nebraska and surrounding states this past week looks like it will surpass the records set in 2011. A number of weather patterns over the past several months combined to form a perfect storm. 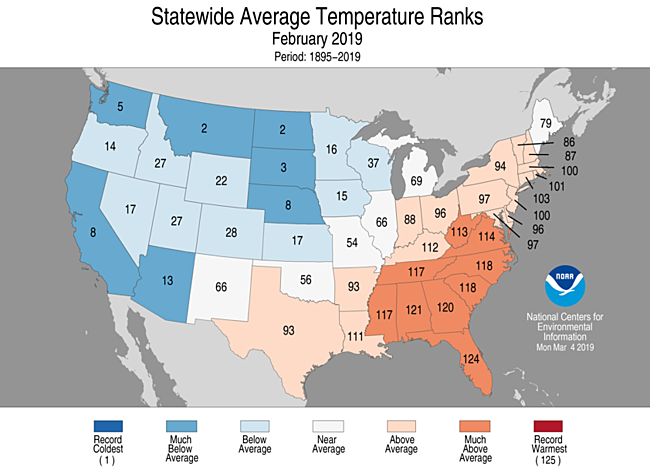 We all felt the eighth coldest February on record in Nebraska (how could we forget the polar vortex) which meant the higher than normal snow fall continued to pile up. We went into March with record low temperatures, then all of a sudden spring hit and 7 inches of snow melted between March 8 and 13th. On top of that we saw a good amount of rainfall for two days straight. All this combined to create some of the worst flooding eastern Nebraska has seen in years. Today is supposed to be peak flood day for the communities in eastern Nebraska. The Missouri River at Plattsmouth, a small town along the river, is reported to have topped out at a record 40.6 feet. On the Platte River, at the towns of Leshara and Louisville, the river has also hit record levels of 12.6 and 13.75 feet respectively. Even the Elkhorn River broke record levels near Waterloo. Much of the flood threat for these rivers comes from ice jams that threaten to push water to higher levels. This has resulted in a number bridge washouts and dam failures. One way to combat the ice jams is by dusting them with coal ash which requires sunlight to heat up the ash which helps melt the ice jam. The Nebraska National Guard had a helicopter on standby in case this remedy was needed. The other more drastic method discussed was blasting the ice jams. If the ice jams break up on their own, neither solution would be needed. One major infrastructure failure caused by the floods was the Spencer Dam along the Niobrara River. Multiple levees were breached or broken putting communities like Pierce, Nebraska, in the direct path of flooding. About 13 miles south of Pierce, the town of Norfolk was completely cut off. No roads into our out of town were open due to massive flooding. The Sheriff’s Office even ran out of barricades and had to result to putting up flags to indicate road closures. The result of all the flooding will likely be damages exceeding $1 billion, the estimated cost of the flooding that occurred back in 2011. It’s likely these floods will continue to happen more and more frequently because of the climate change we are experiencing. The cold temperatures and increased snow fall result from the warming temperatures of the Earth which makes sudden stratospheric warming events more likely and frequent. This leads to the cold snap we experienced in 2014 and again in 2019 when the polar vortex was destabilized and brought cold air down to the mid-latitudes. So just because we are experiencing record snow fall and cold temperatures does not contradict the fact that global warming is occurring. As Ethan Siegel states in his very detailed analysis on polar vortexes and global warming states, weather isn’t climate. The extreme weather patterns are a result of changing climate. Whether you believe we as human beings are responsible or not for the change, we are stuck with the result and need to start making changes now to combat the costly effects like we are seeing this week in Nebraska. Mar 28 Big Box Blunder: What Do We Do When They Close?